A 2014 literature review in the journal Ocean & Coastal Management suggests negative effects of nonnative eelgrass on the native species. Z. japonica at Padilla Bay in Puget Sound. Photo by Jeff Rice. 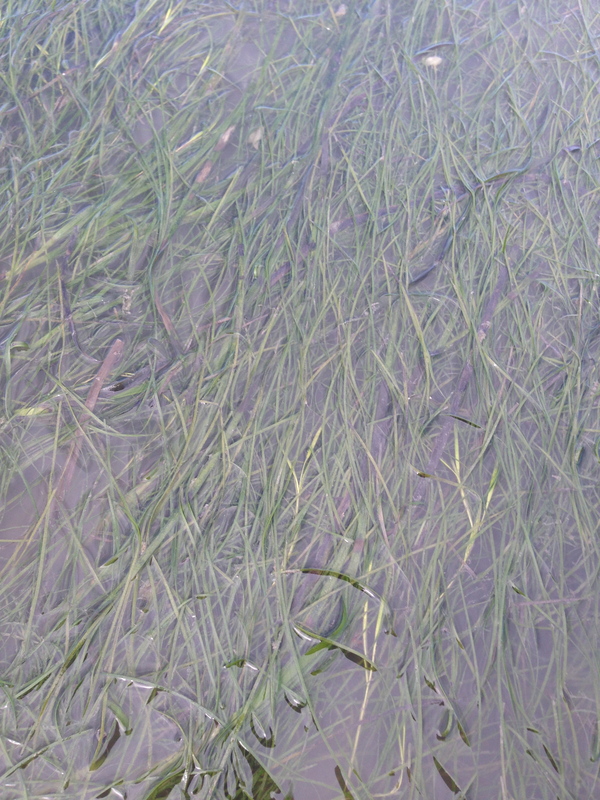 It is widely accepted that Zostera japonica, a seagrass species native to estuarine and coastal habitats of the Western Pacific Ocean, invaded these same habitats in the Eastern Pacific early in the Twentieth Century. Based on the supposition that this species causes harm to native species living in the estuarine and coastal regions of Washington State, in 2012 they started legally allowing local enforcement to remove Z. japonica. We executed a literature search to determine if reviewed studies support the contention that Z. japonica harms native species and habitats in Washington State and other locations in the Pacific Northwest region of the eastern Pacific Ocean. We found that studies designed to quantitatively assess Z. japonica's impact are limited but provide a summary that suggests Z. japonica increases overall diversity of infaunal invertebrates, while decreasing large infaunal species, such as Manilla clam and ghost shrimp, and the native seagrass, Zostera marina. Our finding is restricted by a lack of repeated or long-term sampling effort and inadequate treatment of important higher order trophic levels and commercially harvested species in study designs. In this analysis we demonstrate that rigorous scientific investigation is needed before generalized policies, potentially influencing ecosystem productivity, are adopted. Mach, M.E., Wyllie-Echeverria, S. and Chan, K. M. A.. (2014). Ecological effect of a nonnative seagrass spreading in the Northeast Pacific: A review of Zostera japonica. Ocean & Coastal Management. Volume 102, Part A, December 2014, Pages 375–382. doi:10.1016/j.ocecoaman.2014.10.002. © 2012-2018. Encyclopedia of Puget Sound is published by the Puget Sound Institute at the UW Tacoma Center for Urban Waters.